Your Phoenix Painter will estimate your project at no charge and provide all parts and materials required to finish the job. Your Phoenix Painter is a professional Painting Contractor AZ offering interior painting as well as exterior painting solutions for residential and commercial clients. Our Phoenix AZ Painting Company has an extensive portfolio of many house painting projects and has many satisfied clients in the Phoenix Arizona region including El Mirage and Sun City. Whether interior or exterior, commercial or residential, our customers appreciate Your Phoenix Painter. Your Phoenix Painter is a professional Phoenix AZ Painter offering interior painting as well as exterior painting solutions for residential and commercial clients. 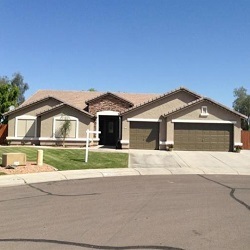 Our Phoenix AZ Painting Company has an extensive portfolio of many house painting projects and has many satisfied clients in the Phoenix Arizona region including El Mirage and Sun City. Whether interior or exterior, commercial or residential, our customers appreciate Your Phoenix Painter. The exterior of your commercial building is the first thing people notice when they initially approach your business. Therefore, it is incredibly important to upkeep all areas of your building. Your Phoenix Painter provides commercial painting services to touch up any building’s appearance and keep it looking brand new. With our commercial painting services, you can maintain a clean and professional image, reduce maintenance costs, and ensure safety. We work hard to be the most trustworthy commercial painting company in the Phoenix AZ Region including El Mirage and Sun City. Your Phoenix Painter of Surpise AZ offers commercial painting services for all types of businesses, such as apartment complexes, office buildings, retail buildings, restaurant buildings, and many more! Our assortment of painting services includes exterior painting, surface preparation, interior painting, and drywall repairs for any sized building. 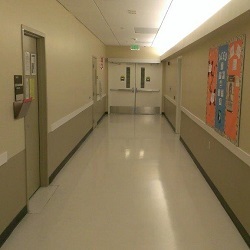 For images of prior commercial painting projects, please visit our Portfolio page. Your Phoenix Painter offers commercial painting services that ensure that all types of properties look their best, while minimizing disruption to tenants or customers during the painting process. We truly value our customers and always deliver outstanding customer service. When you choose us for your painting needs, you are selecting a commercial painting company that really cares about delivering the kind of results that both you and your customers will be impressed with. Why Choose Your Phoenix Painter? Reputation. Our 100% Customer Satisfaction rating and Super Service Awards from Angie’s List, plus our standing with the Better Business Bureau prove that our reputation speaks for itself. We deliver one of the best painting values in the region while delivering excellence in customer service. Competitive Pricing. We provide you with the highest quality work at competitive prices with all the project details spelled out in a professional proposal. We DO NOT require a deposit up front. You pay after the work has been completed to your satisfaction. Professional Painters with the owner on site for every job. Not day laborers, not temp workers. We are not jacks-of-all-trades. We only do painting and the services directly related painting, like drywall repair, wallpaper removal, power washing, carpentry, and color consulting. Warranty. A contractor can promise you the moon, but will they call you back after they’ve been paid? A “Chuck-in-a-truck” has a warranty that is up when he changes his company name or his cell phone number. Insurance. We will not just tell you we are insured, we will provide you copies of our liability and more importantly our workers compensation insurance. You and your property are not at risk when you choose us. Exterior Painting Your Phoenix Painter will power wash all surfaces to be painted, removing all dirt and loose paint. We then scrape and sand any blistering or peeling paint. All areas are undercoated with the designated primer. Any wood trim will be caulked and filled. Loose trim will be nailed down and tightened. Any cracks in stucco will be repaired and all patchwork will match existing finish. All surfaces not requiring paint will be covered completely. We will then apply necessary coats to desired Interior Painting We work closely with you from paint selection, to finish. 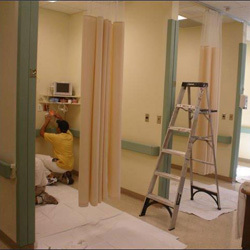 All floors and furnishings are protected with drop cloths and poly-plastic. All fixtures and hardware as well are covered. We remove all switches and vents. We fill all nail holes and cracks in drywall; texture will match existing finish, before any primer is applied. Door jambs, casings, and baseboards will be caulked. Top of the line paints will be applied for finish, providing maximum coverage. We also offer the latest specialty coatings and stain work.